I opened the newspapers and couldn’t find it. I knew it was an outside chance, but it made me sad nevertheless. Last night Debbie Friedman died. It was all over my facebook and, I’m assuming, all over the facebook of thousands of English-speaking Jews. But so far nothing in Israel. 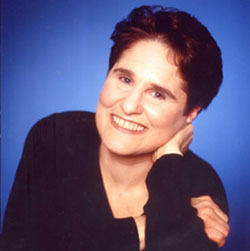 Debbie Friedman was my first introduction to the spiritual world of American Jewry. As a Brit I had been vaccinated against what we would knowingly call “happy-clappy” Judaism. We would look on the (mostly Reform) world of American Jewry and recognize only echoes of gospel and Woodstock, but nothing authentic. Or at least nothing authentic to our British experience of being Jewish in the world. And then came Debbie. At my first Limmud conference in Oxford 1994. An intimate gathering of about 200 people at a strange conference that didn’t know what it was or would become. And an American song-leader who created an astonishing ad hoc choir of Brits who sang to the heavens with a freedom and joy that I’d never heard in the UK. The UK being a haven of mostly Orthoprax Judaism, the whole women thing hadn’t yet taken hold of the imagination, and the God thing even less. Yet here was a woman who was able, through a combination of wit and wisdom, to bring a wretch like me to an experience of transcendence. From the ‘unplugged’ performance at CAJE, where she taught how we do not breathe, but are “being breathed: we don’t breathe out, God breathes us in”, to the show at Limmud New York some 16 years later when her Misheberach moved me to tears (“this one you don’t sing along. This one I have to sing to you. It’s just the way it works.”), the music and performances of Debbie Friedman taught me about the potential of spirituality and the nature of the American Jew. From the sharp, knowing and concrete perspective of the Brit, it had always been easy to sneer at the ‘have a nice day’ phoniness of American culture. J. D. Salinger was our man. CAJE was the hilarious world of people waving their hands instead of clapping, of undiscerning audiences who would give a standing ovation when a shrug would do, of annoyingly gentle voices and beatific orthodonted smiles. But while it seemed that Debbie Friedman recognized this tendency in her American audiences, and felt free to poke fun at it, she was also its High Priest. In between the in-jokes on stage, she would sing with the intent and light of an angel, and speak quietly with eyes intensely closed, listening for the divine echoes she wanted us to hear. It was through Debbie Friedman that I began to understand that although there was a risk of the phony in US Jewish culture, it did not emerge from respect for the empty but from a search for the transcendent. We are often taught that both the harsh Shammai and the gentle Hillel were excellent role models and giants of men. Yet since no one can be as impressive as them, we are told that it is best to attempt to emulate Hillel rather than Shammai. Emulating Shammai will fall short into the abyss of harshness and intolerance without wisdom. Emulating the generosity of Hillel may not reach the heights, but allows one to remain open to the potential of compassion and the touch of the divine. Experiencing the song of Debbie Friedman allowed me to recognize the jaded Shammai in me and in British culture, and to respect a little more the would-be Hillel in the American Jewish world. If only there were more Hillel and less Shammai in Israel today. More of the Friedman-like fine and generous listening and less of the sharp pronouncements. A cute band came to perform at our kibbutz the other week. They’d been doing the rounds of American camps and communities, and their repertoire succeeded in emptying the hall of all kids between the ages of 12-17 faster than free pizza, but they still insisted in performing havdalah at the start of the show. No, I thought, not entirely.